JEWELL TOWNHOMES. AFFORDABLE LIVING IN SOUTHEAST DENVER. Zocalo designed the Jewell Townhomes to deliver an affordable condominium alternative in Southeast Denver. We maximized efficiencies through the use of off-site, modular construction for this 5-unit development. 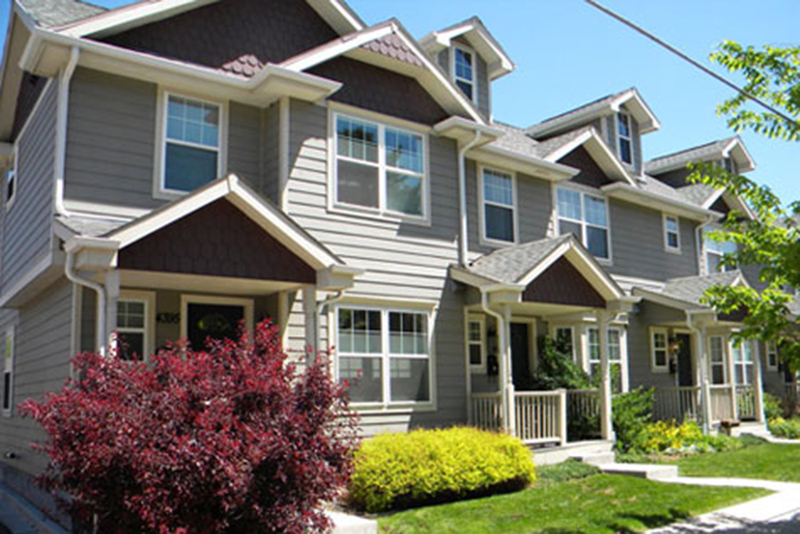 In addition to the townhomes originally constructed, Zocalo designed and master-planned 27 additional units for the adjoining land, which were later built by Habitat for Humanity. FROM MODEST TOWNHOMES TO SLEEK HIGH-RISES, OUR PROJECTS ARE DESIGNED TO STAND THE TEST OF TIME. From the moment we start planning a development, we contemplate the durability of the project from its design aesthetics to the actual lifespan of the physical structure and its systems. The result is smart, well-designed buildings that integrate seamlessly into the community and deliver tangible energy savings to residents.